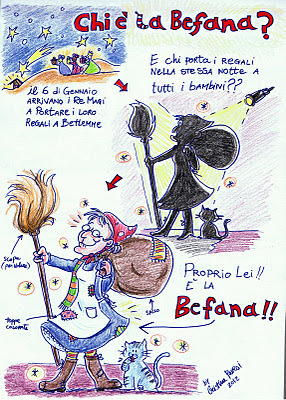 Yeah, once again it is the 6th of January and in Italy the Befana comes to bring presents to kids! 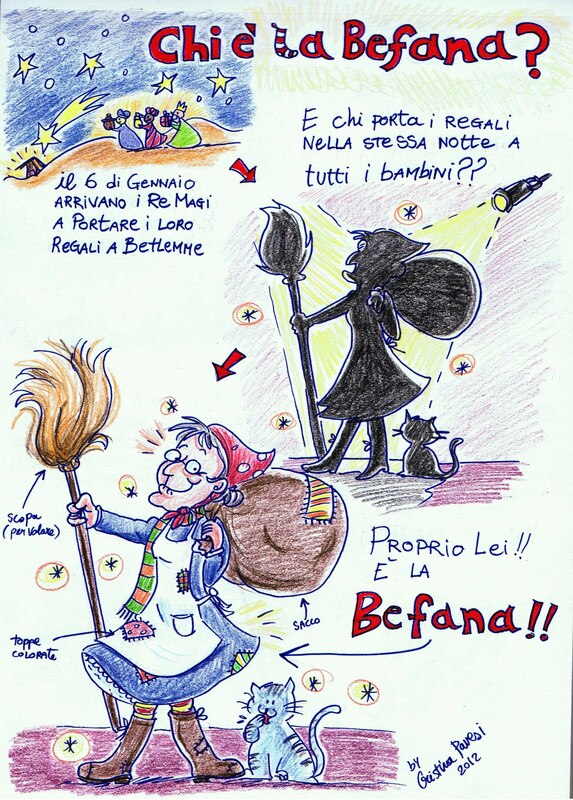 This year I decided to spread via-internet the story of Befana, so to help this tradition to go on: I drew a 3 pages story aimed to kids and spread it all over my contacts. Have a look at it, clicking on the images. The story is copyright free for everybody that wants to print it, send it, share it and/or use it in schools etc. I rely on the "internet-chain-effect" to spread the story! Epiphany was, apparently, the "real Christmas", the day when we symbolically "are born again". 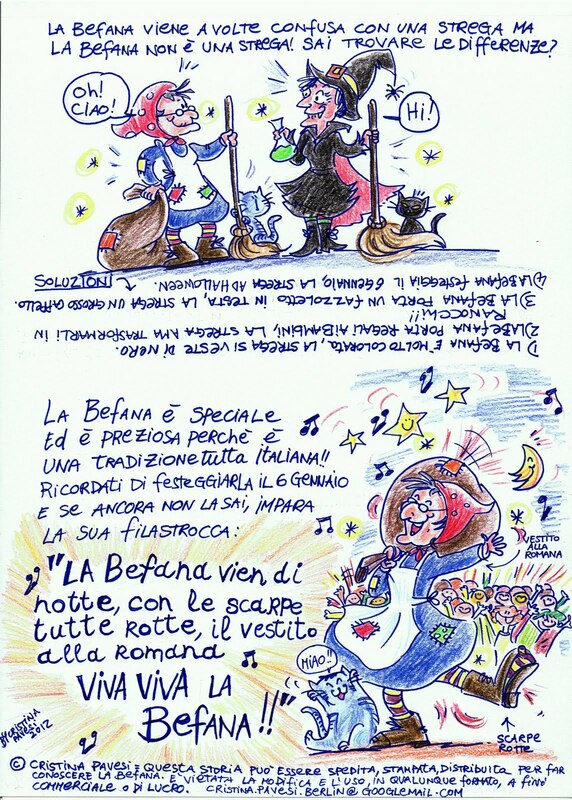 This day it is celebrated also in south Europe (as, for example, in Spain) and south Germany. Click here to read the Wikipedia page about Epiphany. Buona Befana! 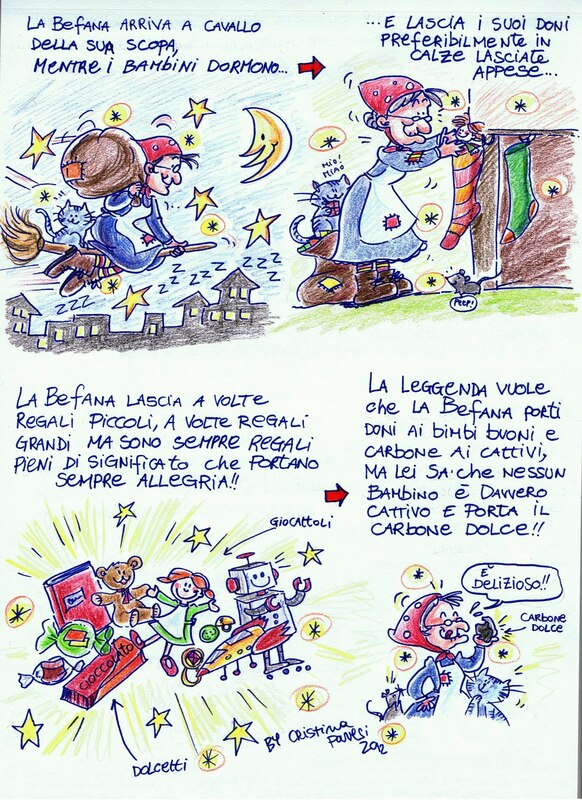 and feel free to share these pages if you like them!